According to the BLS, wage growth in December would eclipse August, thus becoming the newest highest in a decade. By the time that report was released, though, no one would be left at the Fed to support “this gradual path we’re on” – not even Chairman Powell. Everything had changed. 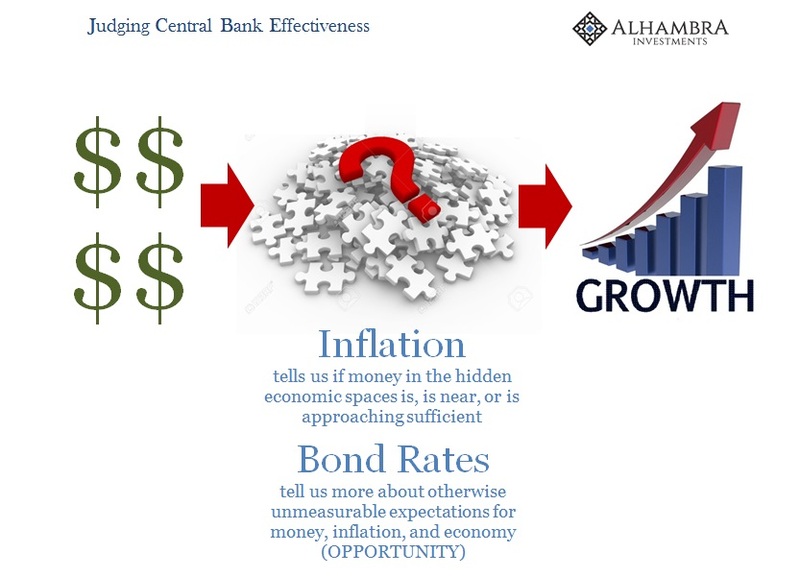 There is so much emphasis on inflation especially at the monetary policy level because that’s the ultimate outcome. Inflation is a monetary phenomenon and if central bankers are doing their job, it should conform in general terms to their policies. Not each and every month, but over time far more often than not prices should remain in the vicinity of what’s expected. If that isn’t what is happening, then something drastic needs to change. 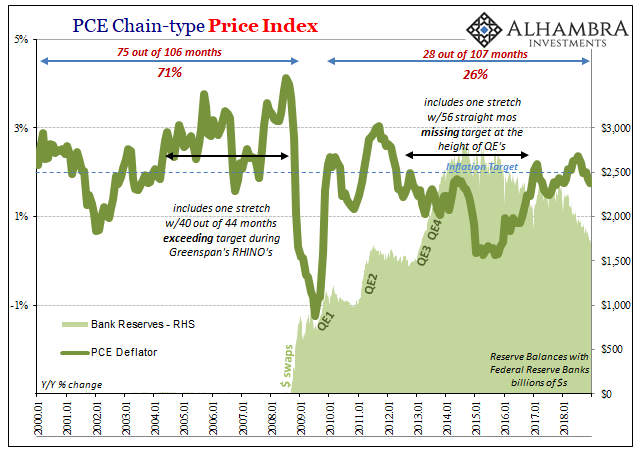 The Federal Reserve under Bernanke confronted one “something” in 2008 only to meet it with QE and ZIRP. The monetary textbook said these were powerful stimulus tools and here was the chance to prove it. Repeating QE instead three more times, leaving some even on the inside to wonder if all that was accomplished was a gigantic monetary head fake, there was enormous pressure for success. When 2014 rolled around, they believed they had finally achieved it; only to suffer the clear setback of 2015. Euro$ #3, then, should have been the game-changer, the final proof that conventional policy even conventional thinking has it all wrong. It really was enough of both time and sample size to have shown how in practice the world just doesn’t work the way officials believe it does.